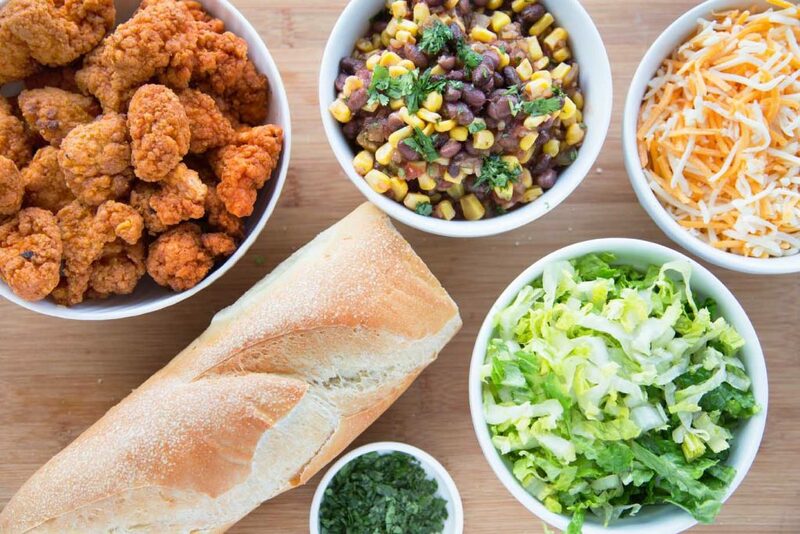 Home » Recipes » Main Meals » Poultry » Buffalo Chicken Po’ Boy – be the Ultimate Wingman! 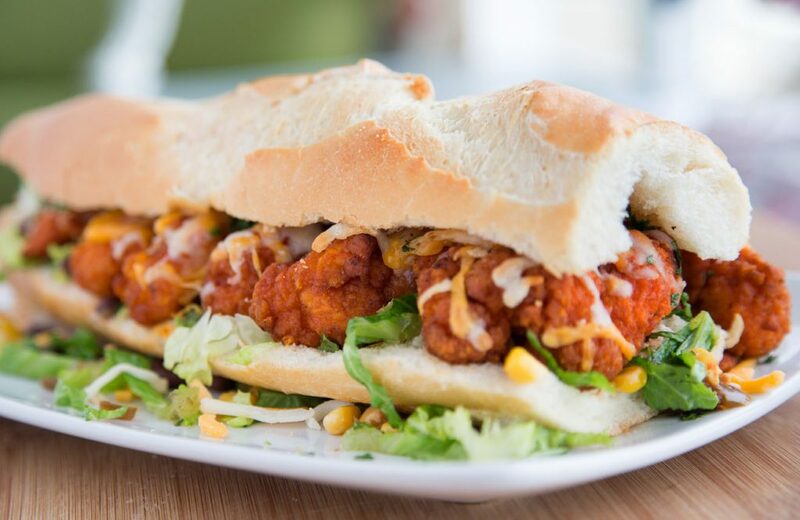 Buffalo Chicken Po’ Boy – be the Ultimate Wingman! 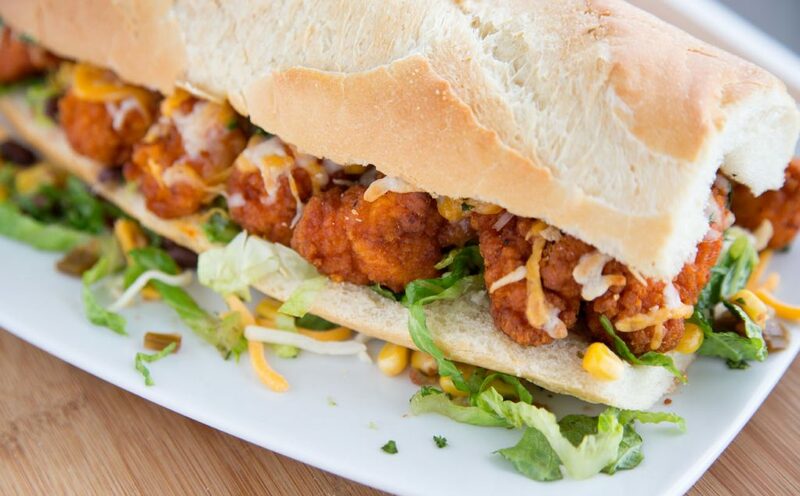 If you're looking for a delicious easy sandwich to make or the perfect game time treat, try my Buffalo Chicken Po' Boy! It's definitely a crowd-pleaser! If you’re looking for the perfect game time sandwich or simply want to add some deliciousness to your day, you’ll want to check out my Buffalo Chicken Po’ Boy! Just make sure to have enough on hand when everyone comes back for seconds. This is a sponsored conversation written by me on behalf of Tyson Foods. The opinions, text and deliciousness are 100% mine! Being an avid football fan, I’m always hosting or joining others at playoff parties to watch the big games. And I will admit that some of the hosts (bless their hearts) seem to think that veggie trays are what guys want to eat…..sigh. We’ll I’m here to dispel that myth and let you know what guys (and gals) want at their Football Playoff Parties! 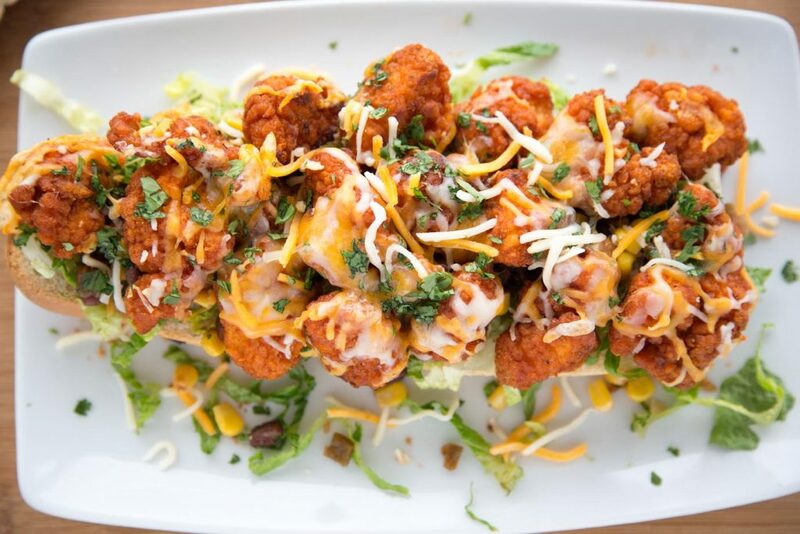 With the popularity of buffalo chicken over the years, I’m beginning to think that it’s replacing the hot dog as our favorite sports time food. And although you can make your own, when a product as delicious and easy to use like Tyson® Boneless Wyngz*(*contains no wing meat) comes along it makes these get togethers even more festive! Not only do our guests get amazingly delicious food but the hosts get some much needed help in the kitchen. 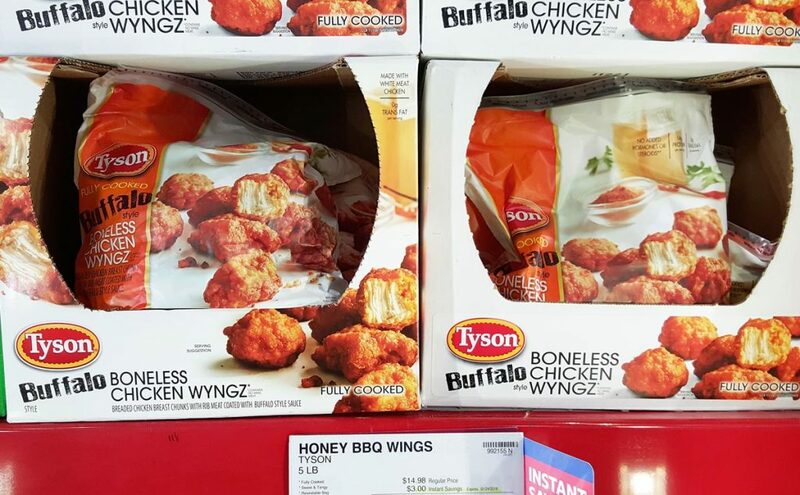 I was lucky enough to find Tyson® Boneless Wyngz* (*contains no wing meat) in the freezer section at my local Sam’s Club. The manager and I are on a first name basis at my Sam’s Club, I’m always there picking up what I need for my adventures in paradise. From food to beach chairs they’ve got it all! You can find savings, coupons and rebates by click on this link. 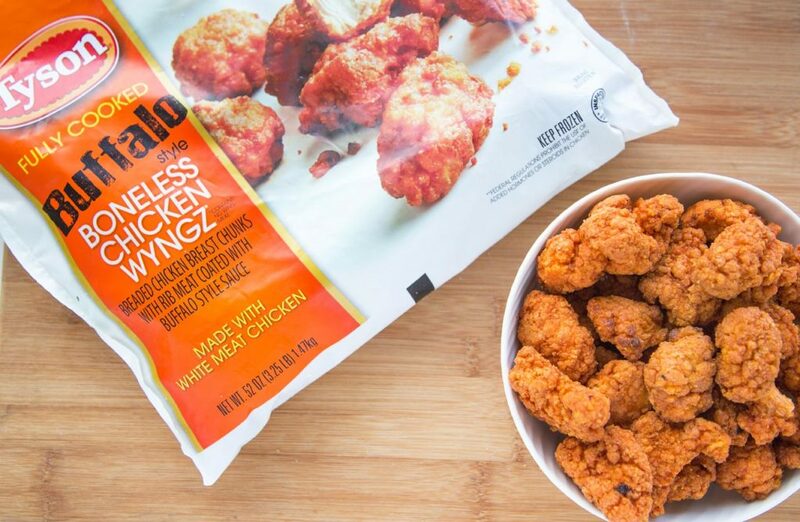 I was really impressed with the Tyson® Boneless Wyngz* (*contains no wing meat), I knew that they didn’t contain any wing meat but hadn’t been aware that they were 100% white meat. Not only are they delicious, but there an excellent source of protein as they contain 0g trans fat per serving. Let’s gather our ingredients together. I made my salsa but there are a lot of great options if you want to buy a pre-made version making this sandwich even easier. 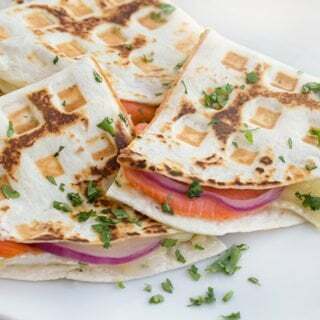 You can also change it up by using dinner rolls to make sliders, or flour tortillas and let everyone make their own soft taco’s. I started by slicing my French bread in half and scooping out the extra bread in the middle on each side of the sliced French bread. Then I added a layer of shredded romaine lettuce and layer of corn and black bean salsa. 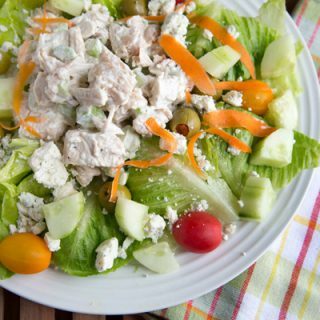 This would also make an ah-mazing buffalo chicken salad, just leave out the bread and serve it with a little bleu cheese dressing. After 15 minutes in the oven I added a layer of shredded Mexican style cheese and gave it another 10 minutes. I then used a spatula to transfer those delicious cheesy chunks of buffalo chicken onto the bread. I then placed the top on the sandwich and pressed down. By hallowing out each side of the roll it helped keep all the ingredients in place. All you have to do is place toothpicks every 3 inches or so and cut it into pieces for your guests to enjoy. Drain and rinse black bean until water is clear. In a medium bowl add black beans, frozen corn, onion (optional), salsa and 1 tablespoon chopped cilantro. Season with sea salt as needed and refrigerate until sandwich is ready. While chicken is cooking, prepare the bread. Scoop out the excess bread form the center of each side without breaking the bread. Place the bottom side on a pan or cutting board. 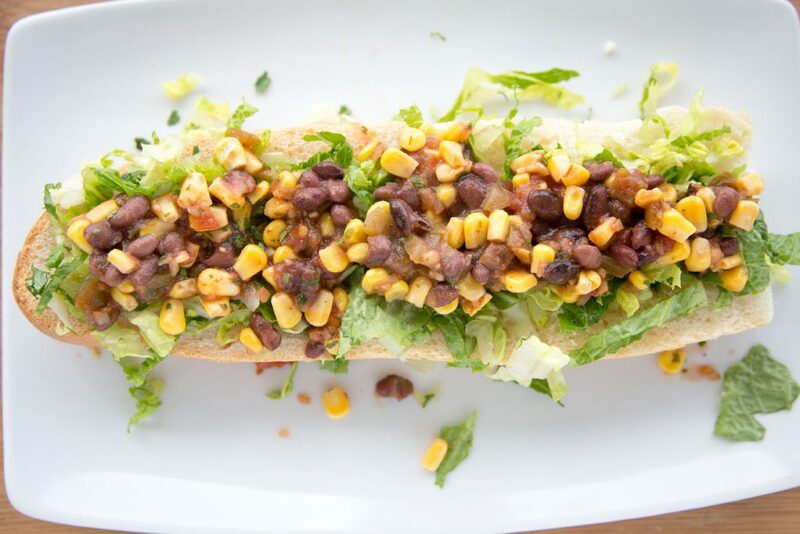 Add a layer of shredded romaine, followed by a layer of the black bean corn salsa. When the chicken is fully cooked, using a spatula transfer a layer of buffalo chicken on top of the prepared roll. Add additional shredded cheese if desired and more chopped cilantro. Place the top on the sandwich and press down to hold the ingredients in place. Place toothpicks every three inches apart and cut into slices. Serve and enjoy the deliciousness! 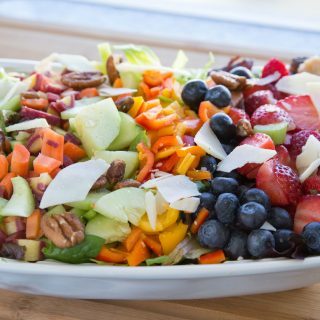 How to Build the Perfect Dinner Salad and Love Every Bite! Chef Dennis is a semi-retired Chef, writer/blogger, photographer, recipe developer and creator of A Culinary Journey with Chef Dennis aka Ask Chef Dennis®. 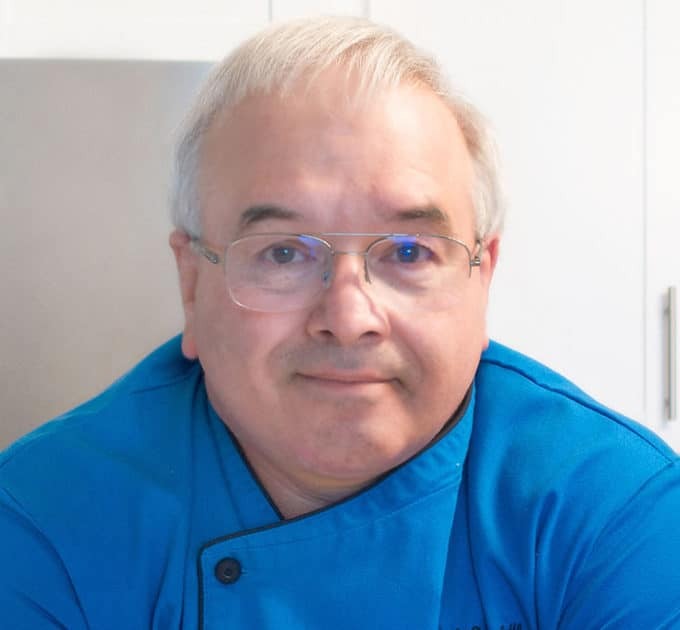 Chef Dennis worked professionally in White Table Cloth Restaurants for 40 years and has been developing easy to make, restaurant-style recipes since 2009. Dennis has been featured in numerous publications and on culinary websites for his creative, delicious recipes and travel adventures. For more details, check out his About page. I love the idea of small sandwiches for special parties. I would love this with perhaps a mayo based hot sauce. Either on it or to dip. Good looking sandwich chef with plenty of chicken. 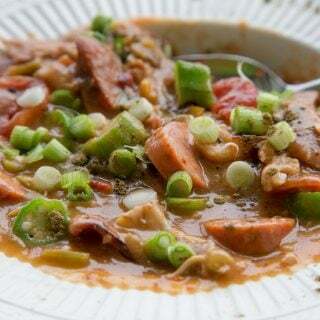 While here in Acadiana we’ve eaten several po boys and find there are some that are pretty chincy with their meat – usually the tourist food places. Thanks Larry, you gotta have enough meat on your sandwich. My philosophy is never go away hungry ! I'm Chef Dennis and Welcome to my Culinary Journey! I hope you enjoy my easy and delicious restaurant-style recipes & travel adventures. Subscribe for FREE and get every recipe delivered fresh! 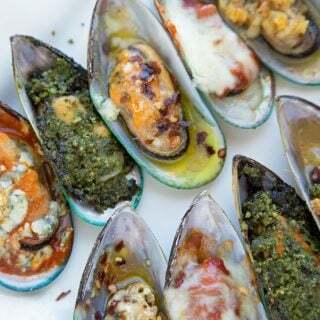 Join our mailing list to receive the latest news and updates as well as every recipe for FREE. 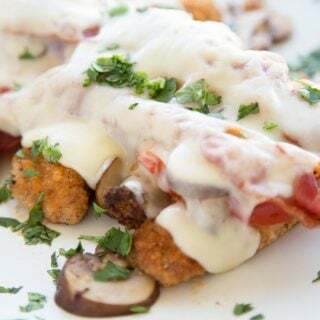 We promise to only send out emails when new recipes and content go live - so you are sure to never miss a delicious new post or video from Chef Dennis! Almost Finished! Please check your inbox for a confirmation email.